One of the must-see attractions of your New Zealand vacation are the Oamaru blue penguins. The Oamaru penguins colony is located within walking distance from the historic town centre near the harbor. 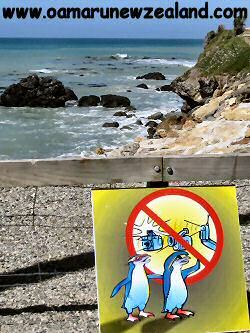 if you go in winter, the amount of Oamaru penguins may be reduced to below 50. The best time to see the blue penguins is in the evening when they return from the sea. However, if there are penguins at home during the day, you can take a guided tour and see them resting in their nest boxes. To see the little blue penguins of Oamaru, you can either opt for a day or night tour. the lifecycle of these New Zealand birds. For the evening tour, visitors will be able to view the penguins from an outdoor viewing arena as the little penguins return from sea. It is a truly remarkable and captivating experience to see the little blue penguins waddling up the rocks from the sea and making their way to their Cliffside homes in the evenings. However, please note that no photography is permitted for the protection of the eyes of the birds, yet the memory of just seeing these cute little creatures will surely stay with you forever. just to use the washroom facilities. 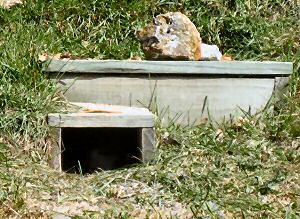 The Oamaru blue penguins colony is open 7 days a week from 10am, and the closing time will depend on the season.